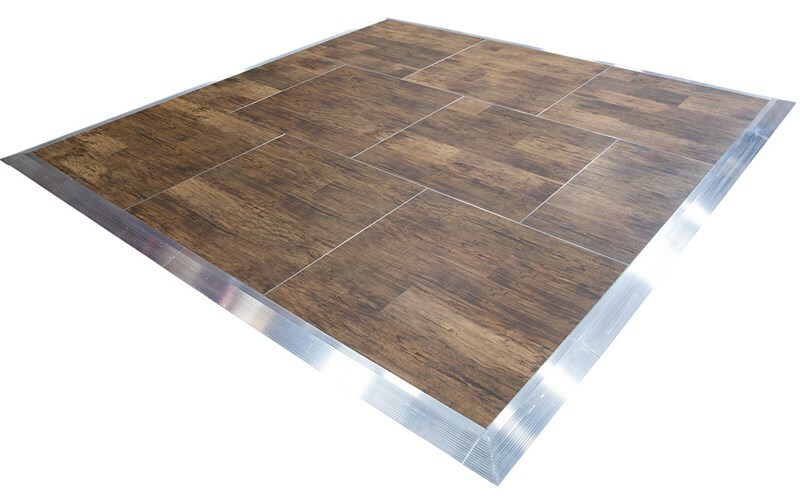 Let us introduce you to our newest inventory item: The Bracken Dancefloor! Perfect for indoor use or outside the Bracken floor is a beautiful wood grain floor. To add to the uniqueness of the floor is the half pieces that give it a brickwork style layout. Although the floor is just being added this year, it is quickly becoming one of the most popular dancefloors we have. Give us a call or stop in to the showroom and check out a sample of the floor.